As Chief Scientific and Operating Officer, Jeff Hutchins oversees the research and development efforts for Heat Biologics, as well as for the company's subsidiary, Pelican Therapeutics. He brings more than 24 years of research and clinical development experience from both pharmaceutical- and biotechnology-focused companies. Prior to joining Heat Biologics, Dr. Hutchins served as Vice President of Pre-clinical Research for Peregrine Pharmaceuticals, Inc., a biopharmaceutical company developing therapeutics to fight cancer and infectious diseases. Dr. Hutchins was responsible for building out the research program for Peregrine's lead product candidate, bavituximab, a chimeric monoclonal antibody designed to target phosphatidylserine. Prior to joining Heat Biologics, Dr. Hutchins served as Vice President, Preclinical Development at Inhibitex Inc, which was acquired by Bristol-Myers Squibb. From 1991 to 2000, Dr. Hutchins held several senior scientist positions in Discovery Research at Burroughs Wellcome and Glaxo Wellcome, with a visiting professor appointment at Rush Medical College. Dr. Hutchins earned his Ph.D. in Biomedical Sciences from the University of Texas, Health Science Center at the M.D. Anderson Cancer Center, followed by postdoctoral training in the University of Southern California's Department of Microbiology at the Norris Cancer Center. Dr. Hutchins' publications and patents span the fields of oncology, infectious disease, osteoarthritis and immunology. He received his B.S. in Biology from Oral Roberts University. U.S. Army, COL (ret) George E. Peoples, MD, FACS, serves as CMO for both Heat Biologics and its subsidiary, Pelican Therapeutics. Dr. Peoples is currently professor of surgery at Uniformed Services University of the Health Sciences, as well as adjunct professor of surgical oncology at MD Anderson Cancer Center (MDACC). 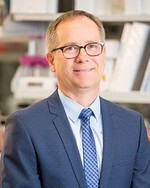 He is also the founder and director of Cancer Insight, LLC, a clinical research and development organization dedicated to the discovering, development and testing for emerging biotechnologies specializing in cancer immunotherapy. Dr. Peoples recently retired from 30 years of active duty as a surgeon and as a research scientist in the military. He is the past chair of the cancer program at the San Antonio Military Medical Center, and the past deputy director of the United States Military Cancer Institute. Prior to that, he served as chief of surgical oncology at Walter Reed Amy Medical Center (WRAMC), as well as SAMMC. He is a graduate of the United States Military Academy, West Point and Johns Hopkins School of Medicine. Dr. Peoples completed his surgical training at Harvard's Brigham and Women's Hospital, and during that time, also completed a post-doctoral fellowship at the Laboratory of Biologic Cancer Therapy at Harvard Medical School. He then completed a surgical oncology fellowship at MDACC. Dr. Peoples has written extensively on the immune response to cancer, with over 300 peer-reviewed manuscripts, abstracts and book chapters. As Vice President of clinical development, Lori McDermott oversees the strategic and operational aspects of clinical drug development for Heat Biologics, as well as for the company’s subsidiary, Pelican Therapeutics. Ms. McDermott brings more than 18 years of clinical operations and program management experience, spanning across large and small pharmaceutical companies, as well as contract research organizations. Prior to joining Heat Biologics, Ms. McDermott held positions of increasing responsibility at Astra-Zeneca, ICON, Bausch & Lomb, PPD and Peregrine Pharmaceuticals. Ms. McDermott’s responsibilities have included the execution of clinical trial programs, from Phase 1 to 4, with a recent focus on immunotherapy development in non-small cell lung cancer. Prior to her work in clinical research, Ms. McDermott practiced as a registered nurse and is currently licensed in Pennsylvania and Florida. Ms. McDermott received an M.S. in clinical research organization and management from Drexel University College of Medicine, and her B.S. in Nursing from Neumann College. She is also certified as a PMP by the Project Management Institute. 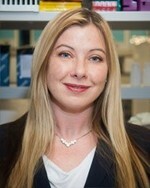 Janice Marie McCourt, R.P.h, M.B.A.
Janice Marie McCourt leads business development and partner alliances. She has 25 years of experience leading pharma and biotech companies globally; working across the R&D-to-commercial continuum in business development, commercial and clinical development. Ms. McCourt has raised over $3 billion in global licensing, acquisition, investment and partnerships. Previously, she led the strategic and tactical diversification of Agenus from a vaccines-focused company directly into the antibody checkpoint modulation space with the acquisition of 4-Antibody, thereby establishing the company as a leader in immuno-oncology. Ms. McCourt has been on executive management teams, leading commercial strategy and business development at Edgemont Pharmaceuticals, Amakem Therapeutics and Praecis Pharmaceuticals (now GSK). She spent five years at Ingenix, the $1.5 billion consulting arm of UnitedHealth Group, leading both commercial and development projects with top-tier pharmaceutical and biotech companies. As the first commercial hire at TAP Pharmaceuticals, she was promoted numerous times in various management commercial roles. She has led many product launches for major brands in immuno-oncology, CNS, immunology, inflammation, women's health, neurology, respiratory, ophthalmology, infectious disease, vaccines and pain therapeutic areas. Ms. McCourt graduated from Massachusetts College of Pharmacy and Allied Health Sciences, where she completed her clinical rotation at Harvard Medical School on the internal medicine, gastroenterology, and cardiac units, and also has an MBA with high honors. As Vice President of Chemistry and Manufacturing Controls, Gary Vinson is responsible for all manufacturing and analytical development for Heat Biologics, as well as for the company's subsidiary, Pelican Therapeutics. He has more than 20 years of experience in the pharmaceutical, CRO/CMO and biotechnology industries, in technical, development and quality roles. Prior to joining Heat, he held roles as Vice President, Pharmaceutical Development at a specialty pharmaceutical company, BioDelivery Sciences, and at Aldagen, a clinical-stage regenerative medicine company developing adult cell therapies. His responsibilities have included leading manufacturing, analytical development and quality organizations, and he has significant experience developing CDMO outsourcing relationships from pre-IND through to registration. Mr. Vinson founded and was Managing Partner of The Perdoceo Group, LLC, a consulting firm providing CMC support to biotechnology and pharmaceutical clients. He began his career with Glaxo, Inc. and worked at Magellan Laboratories, where he was a principal in establishing the pharmaceutics group to provide contract development and manufacturing of clinical trial materials. Mr. Vinson received his B.S. In Chemistry from North Carolina State University and holds CPGP (Certified GMP Professional) and RAC (Regulatory Affairs Certification) certifications. Mr. Jakobs most recently served as Vice President Accounting and Finance of Anutra Medical, Inc. Prior to that, he served as an Independent Chief Financial Officer/Controller Partner at Rankin McKenzie Partners. Mr. Jakobs also served as Senior Director Accounting and Finance at Icagen, Inc. and Corporate Controller of Sphinx Pharmaceuticals, a publicly traded biotechnology company that was acquired by Eli Lilly.